Picture Framing Blog - A Good Frame of Mind: Happy Anniversary to Us! It's been 40 Years! Happy Anniversary to Us! It's been 40 Years! Our first ad in American Artist, 1973. We started with only 5 frames in Standard metal. Silver, Gold, Black, Pewter, and Copper Brown. The Standard Collection today. It remains a favorite or its high style, low cost, and ease of assembly. 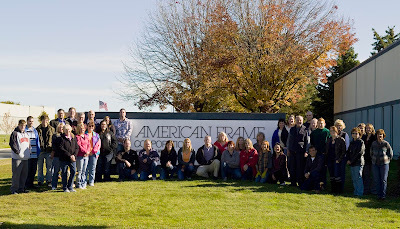 The American Frame Team at 40 The Full Story! 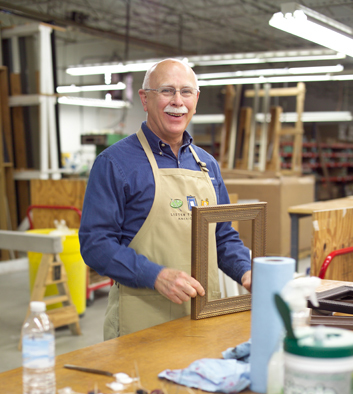 Each frame, wood or metal, is handcrafted per order and shipped within 2 business days. Or you can Ask Mike! We also do fine art reproduction and printing. When you print with us, we can frame it for you, so your print is received ready to hang! We're kicking off the celebration with a big sale! 40 frames, for 40 days, up to 40% off! To celebrate Mickel’s role as industry founder, and the company’s forty successful years, American Frame will launch 2013 with the largest sales-event in its history. It will also be introducing a transformed website with dozens of enhancements, including the ability to build virtual frame packages starting with either the art or the desired finished frame size. The new website will have streamlined text and graphics, enhanced search options, 360-degree views of every frame and an expanded “how to” section. 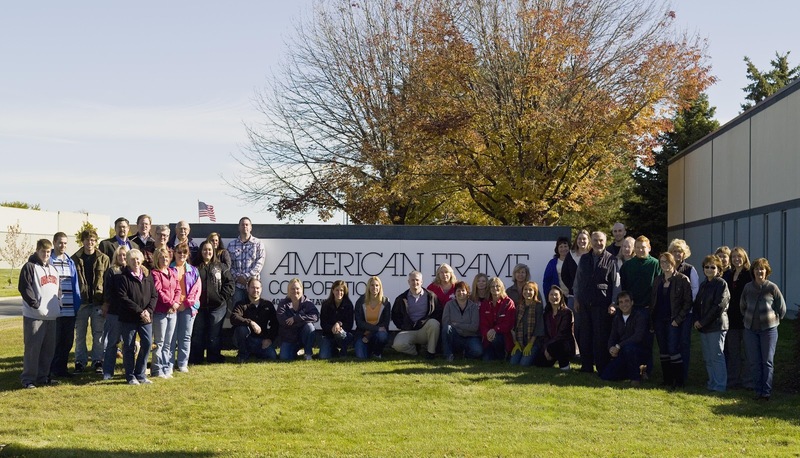 American Frame began as a company of one—one employee, Ron, and one product, the Standard Metal sectional frame. Forty years later, they don’t quite fit in a garage. With 30,000 square feet of space, hundreds of frame styles, hundreds of mats and dozens of tools, plus a professional printing shop that produces works on paper, canvas, Plexiglas® and aluminum, American Frame serves artists, photographers and DIY customers nationwide. Committed to a fully American approach to business, American Frame’s production, management, sales and service are all located in Maumee, Ohio. Whenever possible, the company uses American-made products and practices green manufacturing by reducing, reusing and recycling material and participating in programs like carbon-neutral shipping. 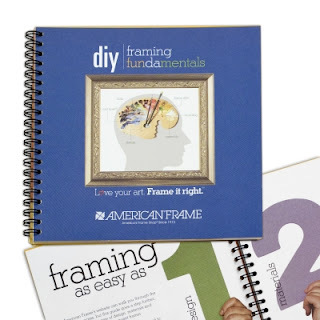 American Frame provides top-quality DIY custom picture framing supplies and fine art printing services at wholesale prices via its website throughout the USA. 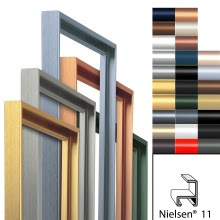 Our easy web interface allows customers to design a custom frame treatment for assembly in the comfort of their home. They can also upload a digital image to be printed on canvas or fine art paper and receive framed work ready to hang. All orders are handcrafted in Maumee OH and shipped within 2 business days. Family owned and operated since 1973. Love your art. Frame it right. Wow, happy anniversary! Now check place where buying essays online is possible. Bye!